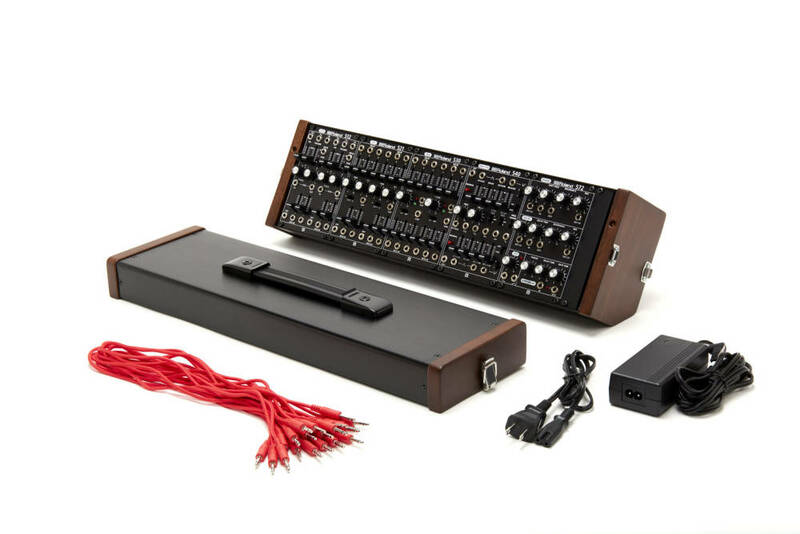 Based on the legendary SYSTEM-700 and SYSTEM-100M, the SYSTEM-500 Complete Set is a fully analog modular synthesizer inspired by two of the most revered electronic instruments of all time. Made for Eurorack format, it's a complete system with multiple oscillators, filters and effects in a versatile custom case with top-quality patch cables. 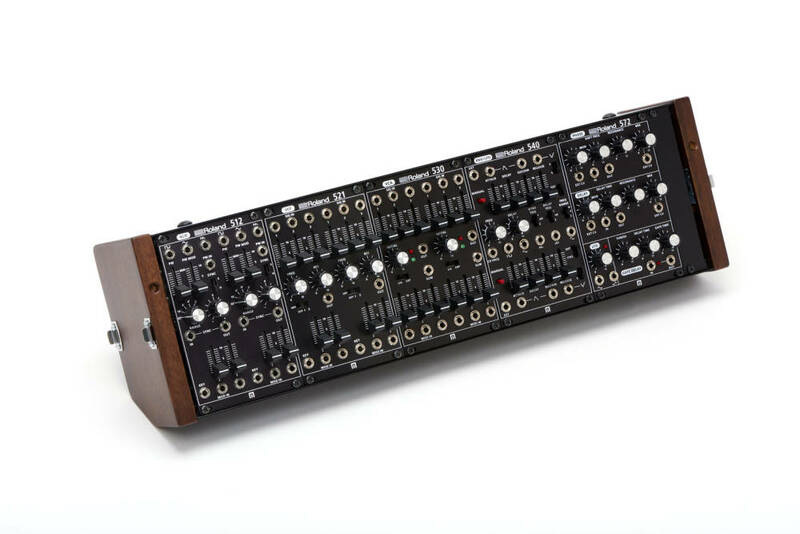 It's perfect for your first modular synth or as the centerpiece of an expanding Eurorack system. Designed and built in the USA, the SYSTEM-500 Complete Set is made to exacting standards, with top-quality components and extreme attention to detail. It delivers the classic character and playability of a vintage Roland modular synthwith all the advantages of a modern instrument. And its surprisingly affordable, turning the fantasy of finally owning one of these legendary instruments into reality. With two VCOs, two VCFs, two VCAs, two ADSR envelopes, two dedicated LFO sections, and a powerful effects module, the SYSTEM-500 Complete Set is highly flexible and extremely capable right out of the box. It opens up vast possibilities for musical exploration and sound designand it sounds simply incredible. It's the sound you hear in your head when you think of big, warm, analog synth tone. You get the gold standard for oscillators combined with the sweet filters and snappy envelopes that make vintage Roland synthesizers so desirable. The extremely thoughtful array of CV/Gate connections and well-placed controls make it a joy to play and an ideal centerpiece for any modular setup. Beautiful, powerful and even portable, the SYSTEM-500 Complete Set is made for Eurorack, so you can easily expand by connecting to the wide-range of available Eurorack modules. Or it can neatly integrate into your existing modular setup. Its versatile wood and metal case can sit flat or tilt, and provides plenty of clean, stable power. 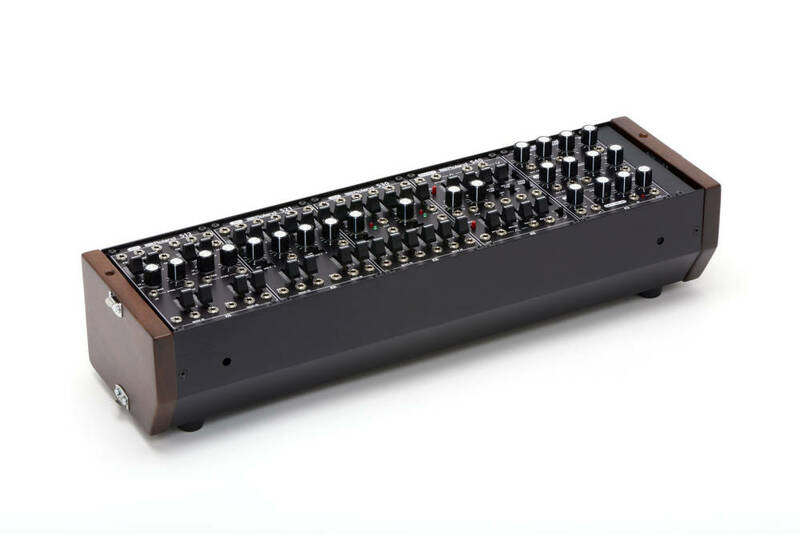 It blends with the classic looks of the SYSTEM-500 modules creating an elegant instrument that looks as good as it sounds. You can take the whole thing with you, or neatly stack two units to build a larger, more powerful system. 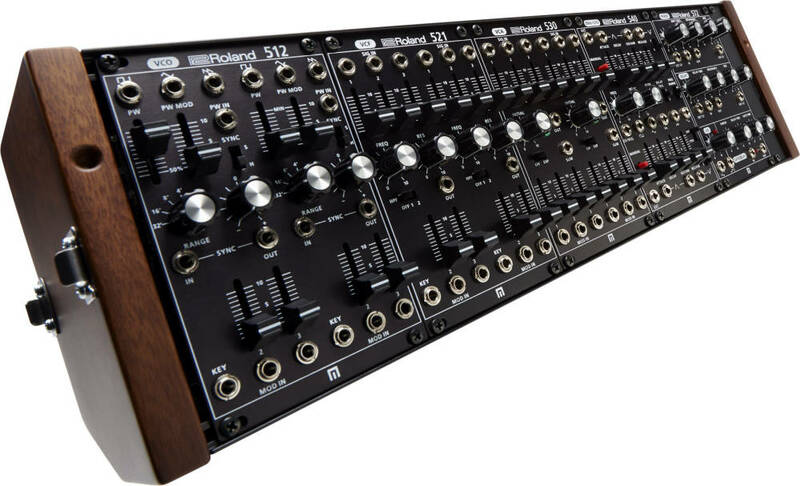 With jaw-dropping sound, elegant design, and top-notch build quality, the SYSTEM-500 Complete Set is vintage Roland modular for the new golden age of synthesizers.